Robotics firm Systemantics, which builds industrial robots for the manufacturing sector, has raised another round of funding from venture capital giant Accel Partners and Infosys cofounder Nandan Nilekani, a few years after it received backing from investors such as Blume Ventures. Systemantics, which was founded by IIT-Madras alumni Jagannath Raju in 1995, raised the latest round a few months ago. ET could not immediately verify the exact terms of the latest round of investment. 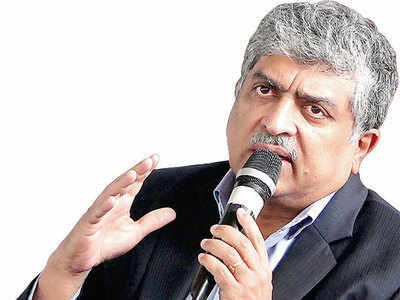 The latest investment in Systemantics will mark at least the seventh venture that has been backed by Nilekani, who has actively invested in early-stage startups that he believes are building disruptive ideas which are “highly impactful”. Over the past 12 months, Nilekani has also backed Team Indus, Fortigo, Mubble, Juggernaut, Lets-Venture and Power2SME. Nilekani has co-invested in a number of these ventures with Accel, including Fortigo and Power2SME. “I do a few, very select investments. If I feel something is highly impactful, then I like to get involved — for example, look at Team Indus. An Indian company landing a rover on the moon is something great. Somebody who has a stretch goal like that or somebody who’s making an ecosystem or creating scale in some way, I look for those kind of things. And where there is an original idea. So I’m very selective about my investments,” Nilekani had said in an interview with ETlast July. Anand Daniel, a partner at Accel Partners India, declined to comment. When contacted, Raju confirmed that Accel and Nilekani had recently backed Systemantics. Over the course of the past two decades, Systemantics, which likes to keep a low profile, has quietly worked on custom robotics projects with the Government, as well as with companies such as Titan and Hindustan Aeronautics (HAL). Systemantics is currently building robotics products for the industrial and manufacturing sectors. “Systemantics is Make In India truly at work — with India’s cost structure advantages and innovative design efficiency at full strength. This core belief drove our decision to back them. Their seasoned management team’s executional ability, coupled with deep-tech IP, could eventually challenge global incumbents,” said Sanjay Nath, managing partner at Blume Ventures, which had backed Systemantics in 2013. The investment in Systemantics comes at a time when early-stage investing in India continues to scale new highs, although larger so-called “unicorns” including home-grown poster boys such as Flipkart are struggling to raise larger follow-on rounds, amid fears of a valuation bubble.